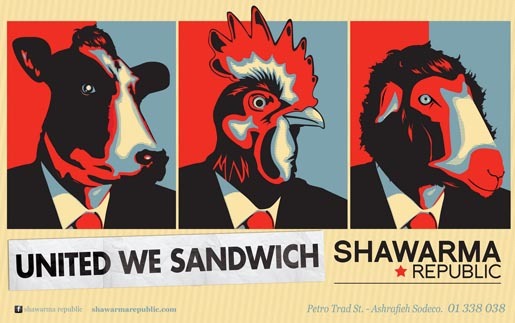 Shawarma Republic is a Lebanese fast food outlet, with the catchy tagline ‘United, we sandwich.’ The concept behind Shawarma Republic is a simple approach solution to today’s busy and hectic lifestyle where a good fast bite is what a large number of consumers are looking for. 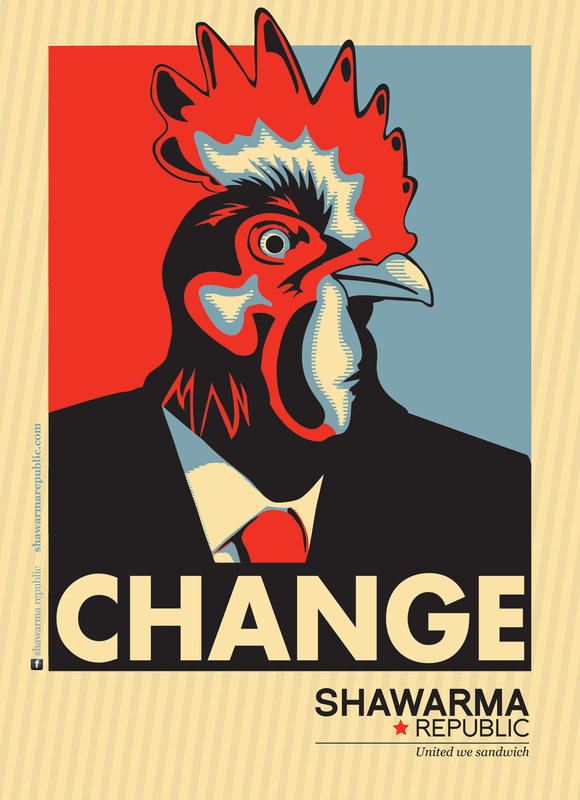 The brand is hitting the streets with a poster campaign inspired by the Barack Obama campaign illustrated by Shepard Fairey. 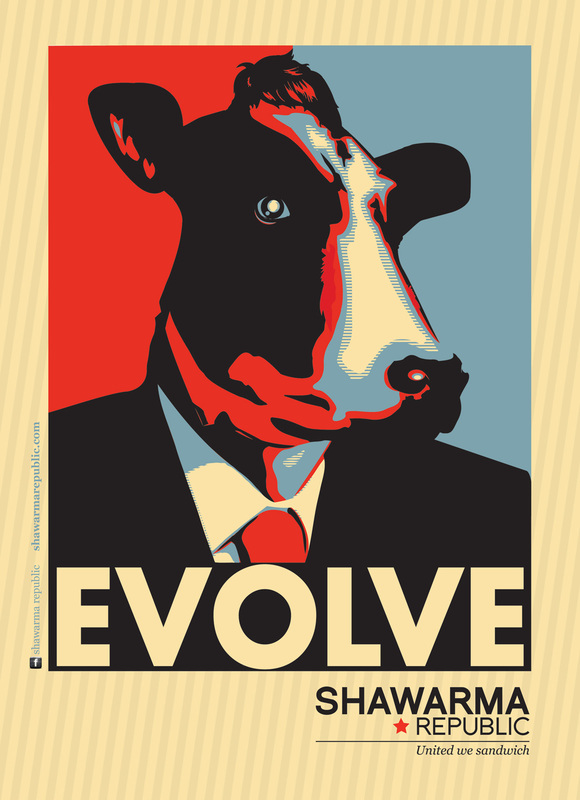 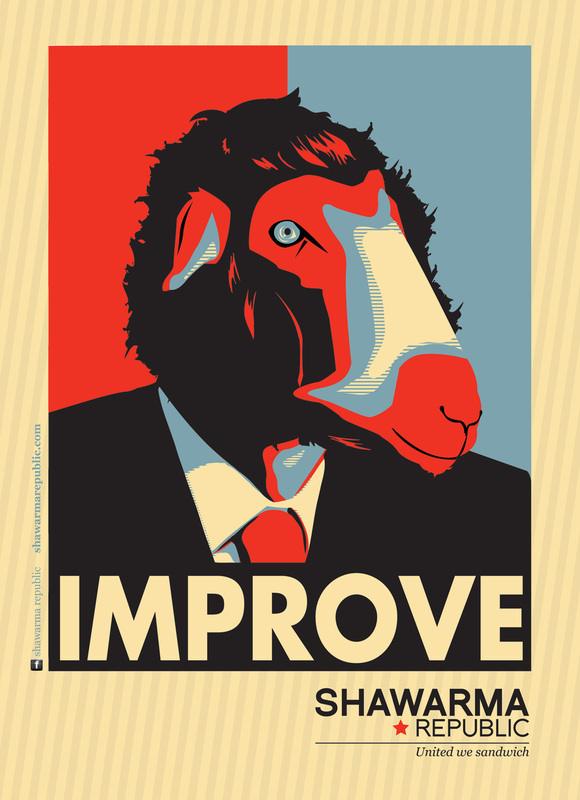 Three posters, “Involve”, “Improve” and “Change” feature a sheep, cow and chicken. The United We Sandwich campaign was developed at NINETEEN84, Lebanon.